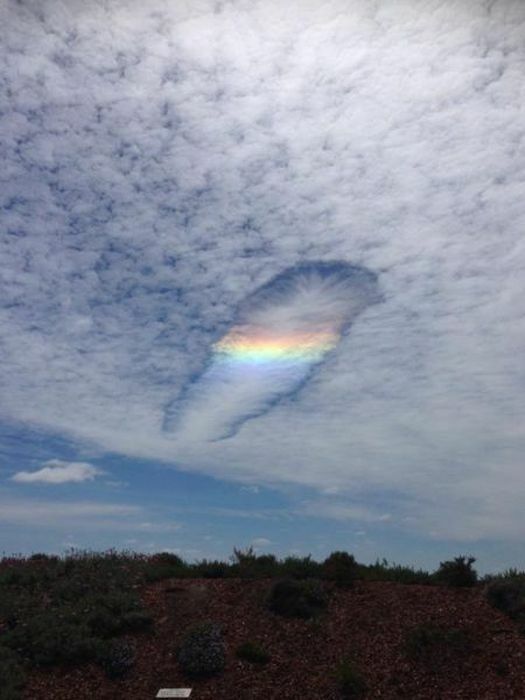 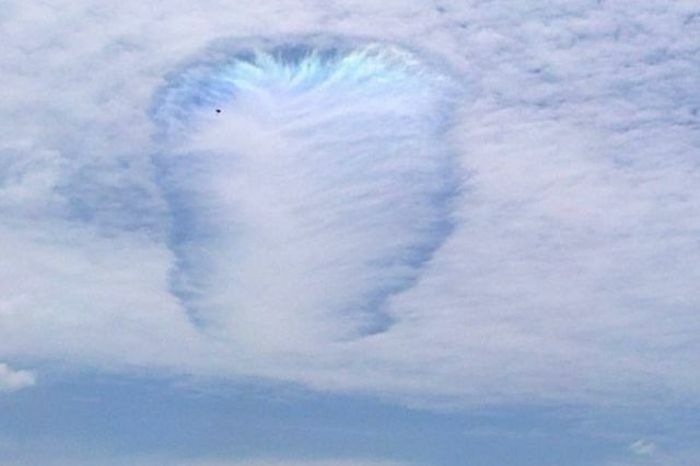 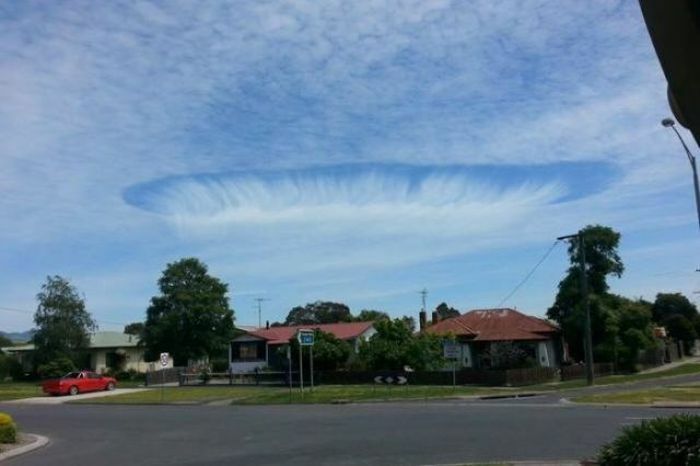 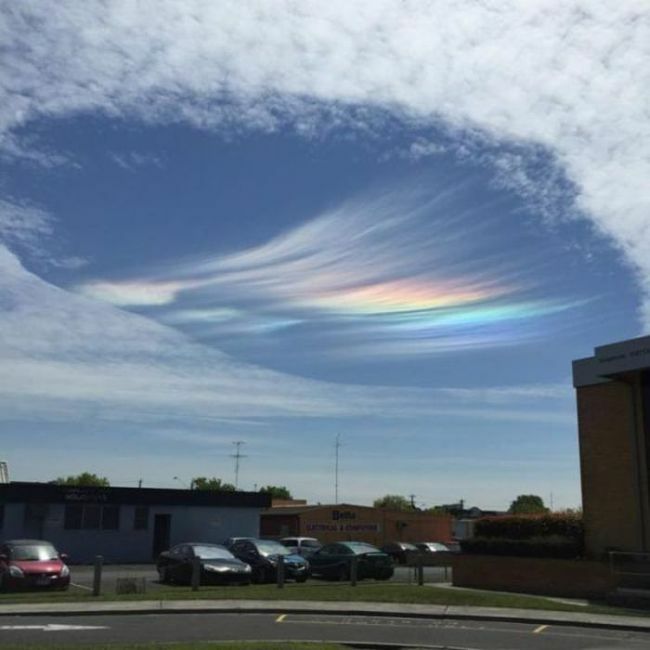 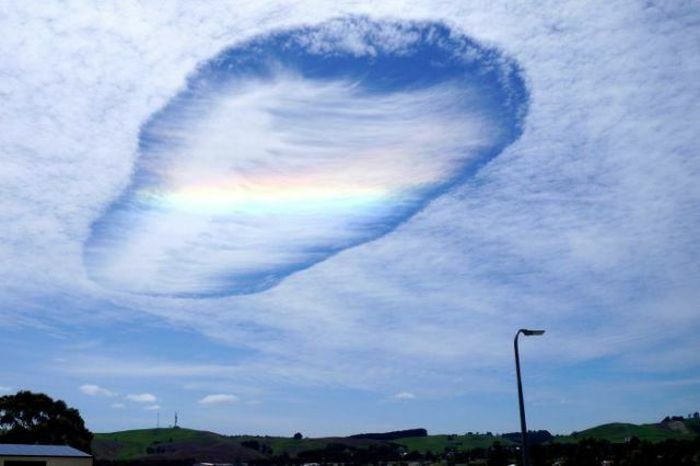 This unusual phenomena happening in Australia is caused by part of a cloud freezing, and the particles falling but not reaching the ground, then it leaves a hole. 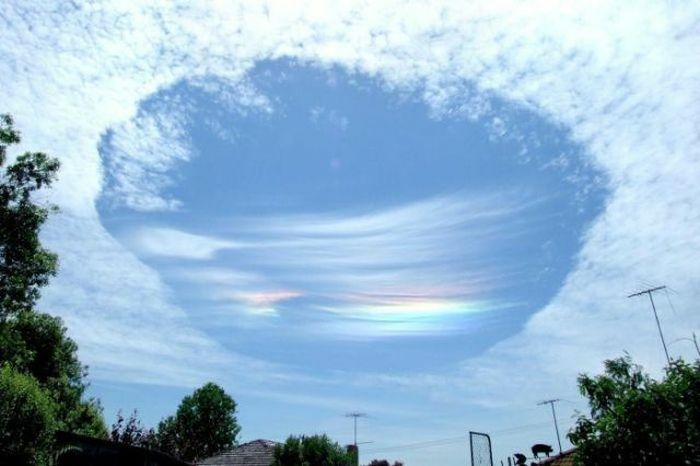 For those that don't know what it is, it might be easy to confuse it with a UFO. 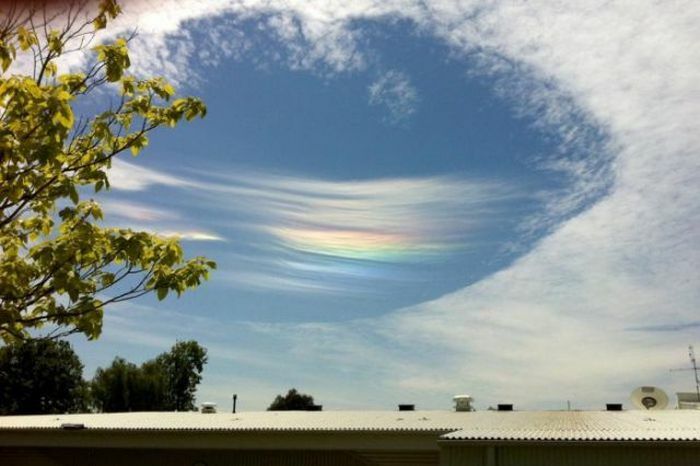 Might not be as exciting as UFOs, but it's still pretty. 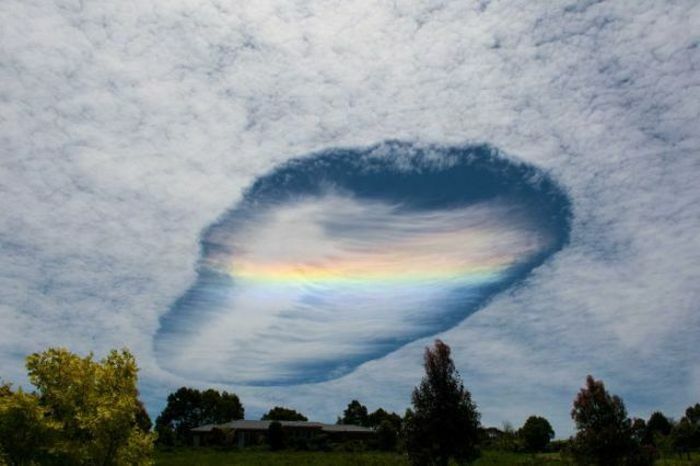 What do they call this phenomena?